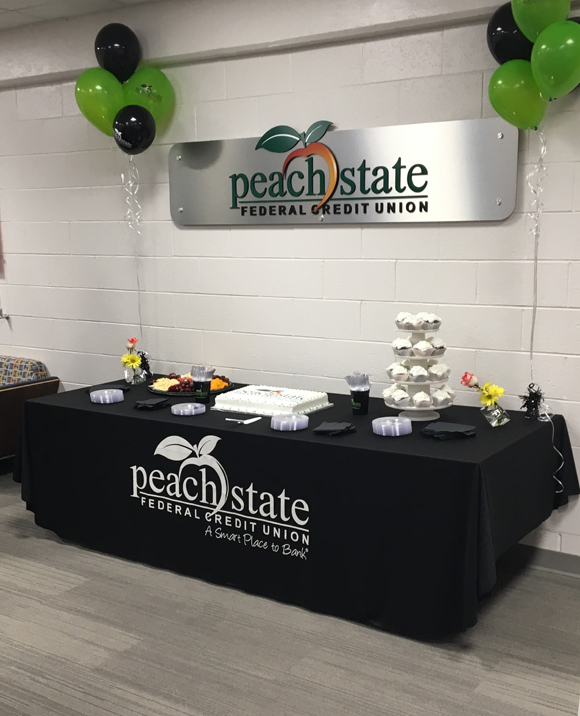 Peach State Federal Credit Union celebrated the grand reopening of its remodeled branch facility with a ribbon cutting ceremony today. The branch is located in the Richmond County Board of Education building in Augusta, GA. 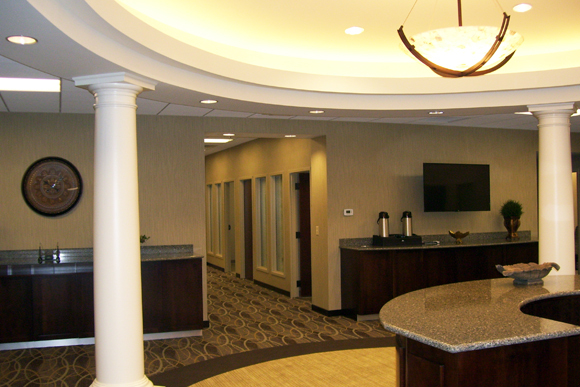 The interior build out incorporated the new prototype color scheme of the credit union. 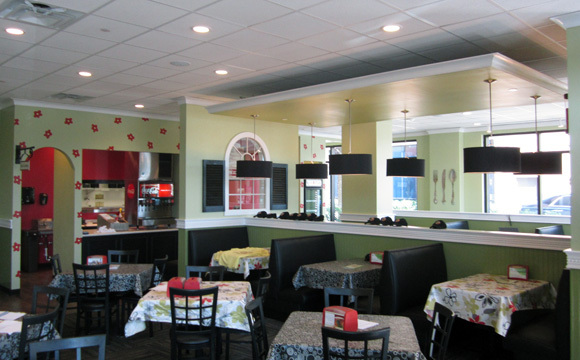 New LED lighting, paint, wallcovering, flooring, and millwork was included. A teller pod was introduced in this 600 sf space as well as a conferencing table. In addition, a coffee bar was added to the lobby. 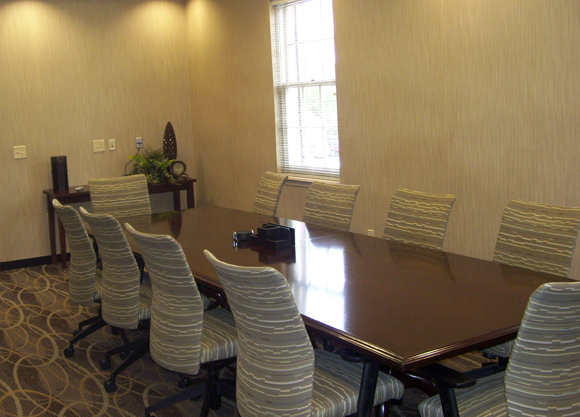 New office furniture and an added break room rounded out this renovation. 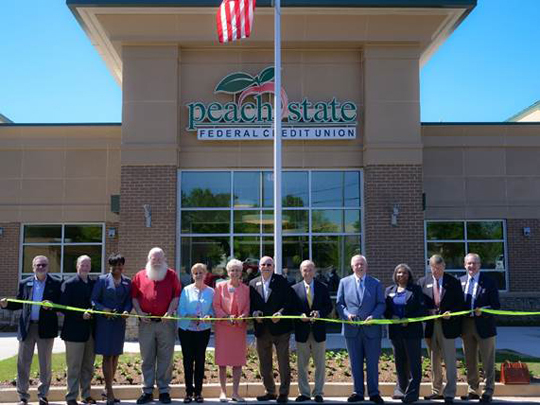 Peach State Federal Credit Union celebrated the grand opening of its new branch facility in Oconee County with a ribbon cutting ceremony today. 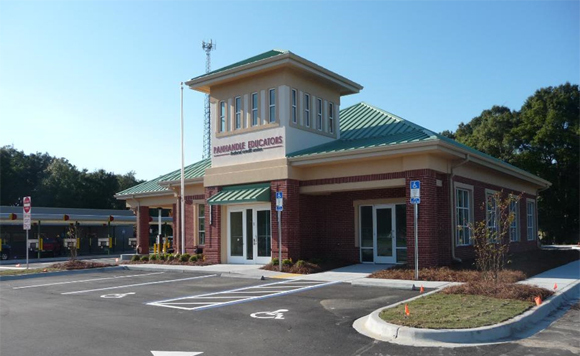 The new branch is located at 1260 Mars Hill Road, Suite 127 in Watkinsville, Georgia. 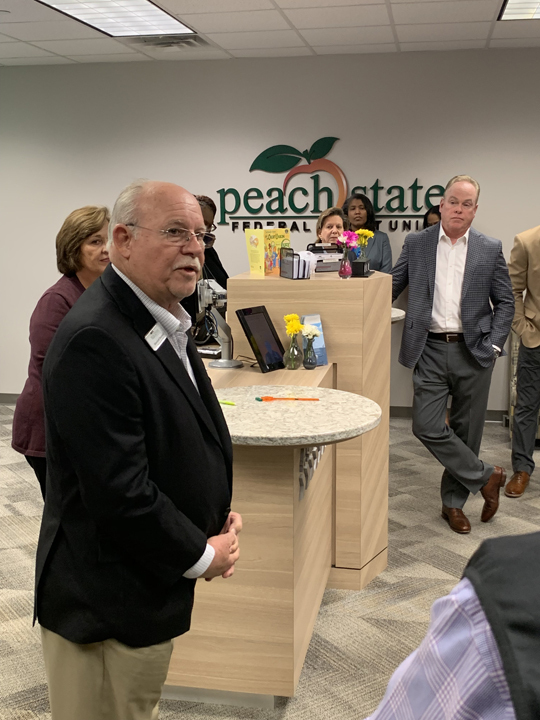 Originally founded in 1961 as Gwinnett Teachers Credit Union, Peach State now serves more than 49,000 members. Peach State’s future is bright. With a commitment to their internal values and a focused strategy for future growth, the credit union is prepared to help more people afford life than ever. 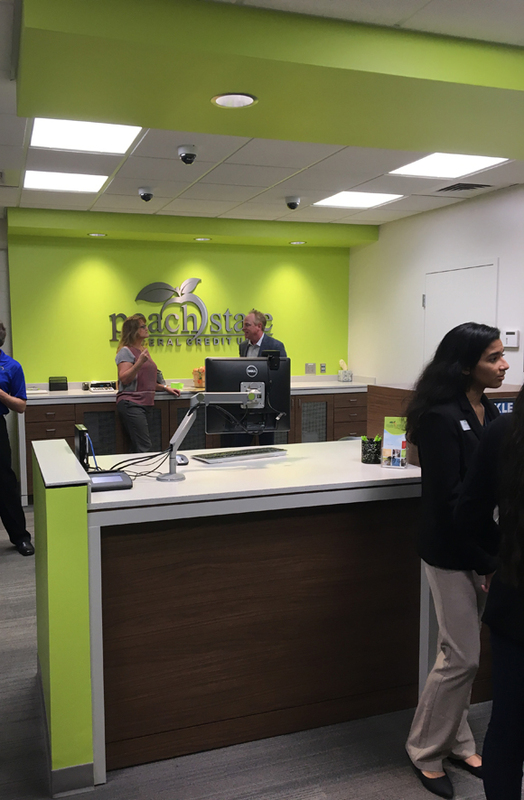 Peach State’s new “branch of the future” in Oconee County offers a new, smarter way to bank. The traditional teller line has been replaced with staff who can assist members with their financial needs in personal way. 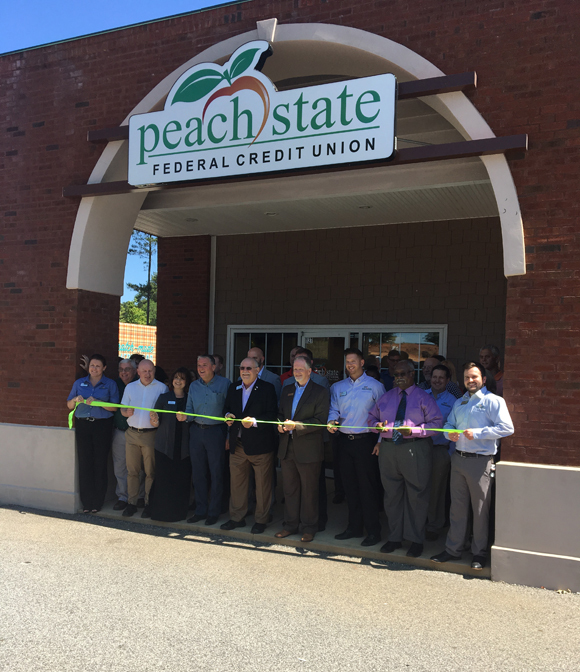 We are proud of our relationship with a credit union such as Peach State that provides such a vital contribution to the community. 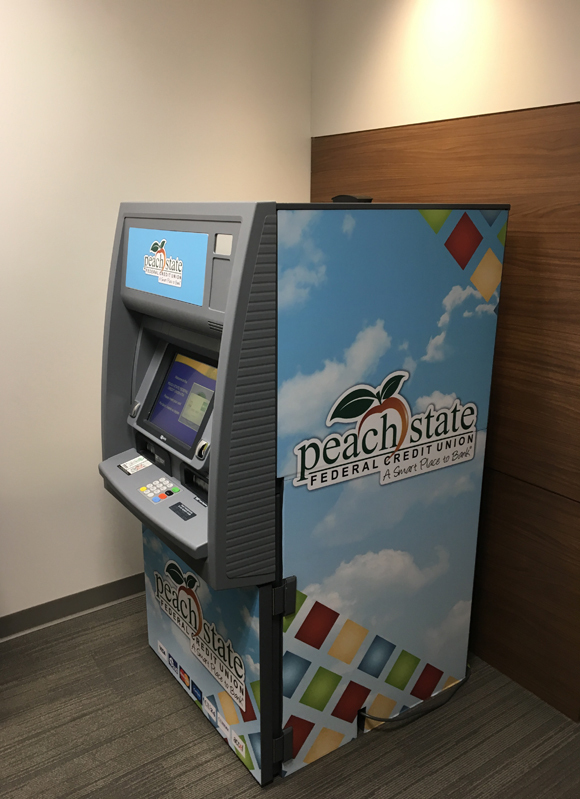 Peach State Federal Credit Union has partnered with Central Gwinnett High School to put one of their branch locations within the school. 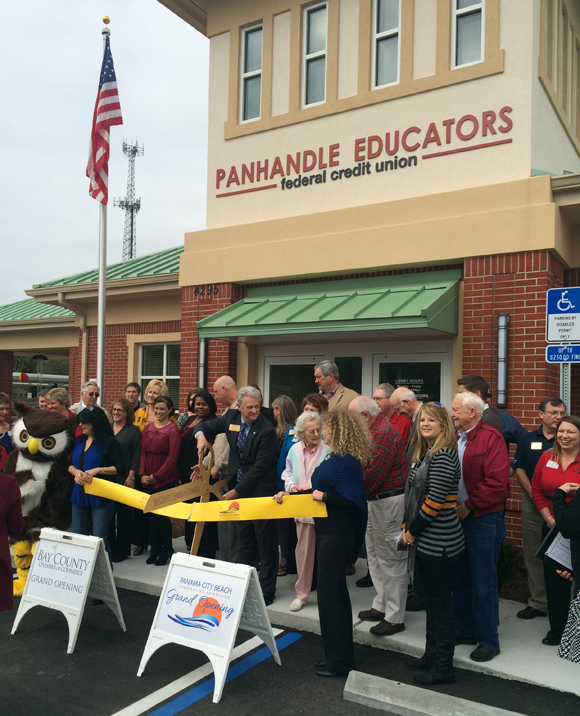 The credit union celebrated the branch opening today with a ribbon cutting ceremony. The branch currently has seven student interns who operate the location with a branch manager. Students, teachers, and other staff members can make deposits, withdrawals, and use the ATM during their operating hours. The student interns have also developed a plan to educate all advisement classes on the differences between a credit union and bank, smart money management skills, and future career opportunities at Peach State Federal Credit Union. 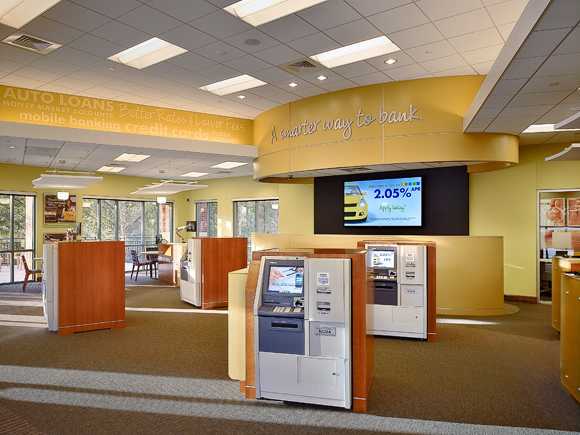 CBI was proud to partner with the credit union to design and build the branch. LGE Community Credit Union recently celebrated the opening of the credit union’s newest branch in Canton, GA. 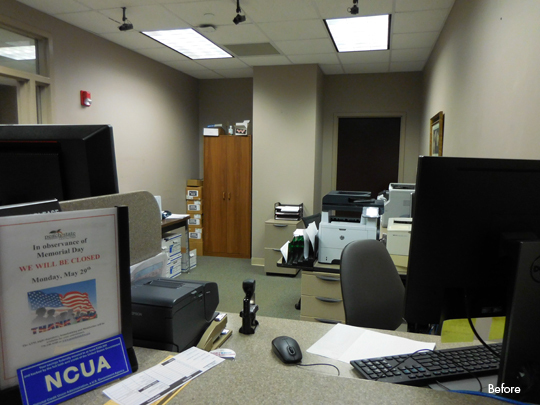 The Canton branch is the first branch CBI has constructed for LGE from the ground up. All previous branch projects were either build-out of space in a shopping center or renovation of an existing building. The most recent project prior to the Canton project represented a change to a new retail business model for LGE incorporating advanced function ATMs for handling all transactions. 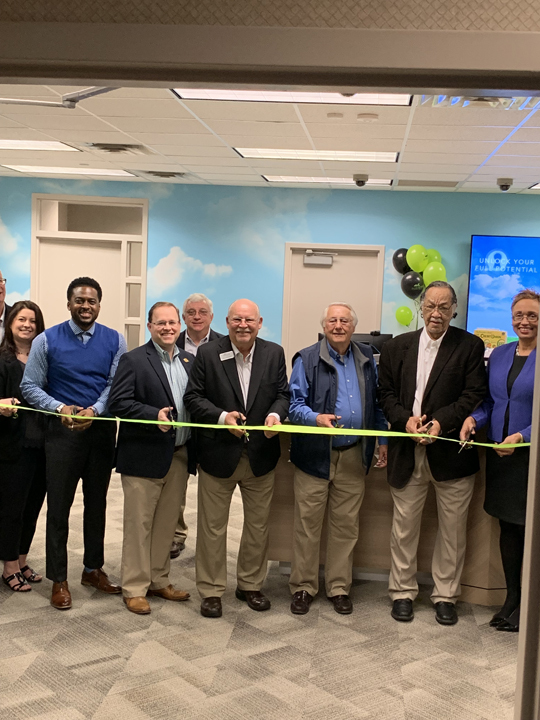 This was initiated at the Roswell, GA branch and has been so successful that the credit union decided to implement the concept in the Canton, GA branch. 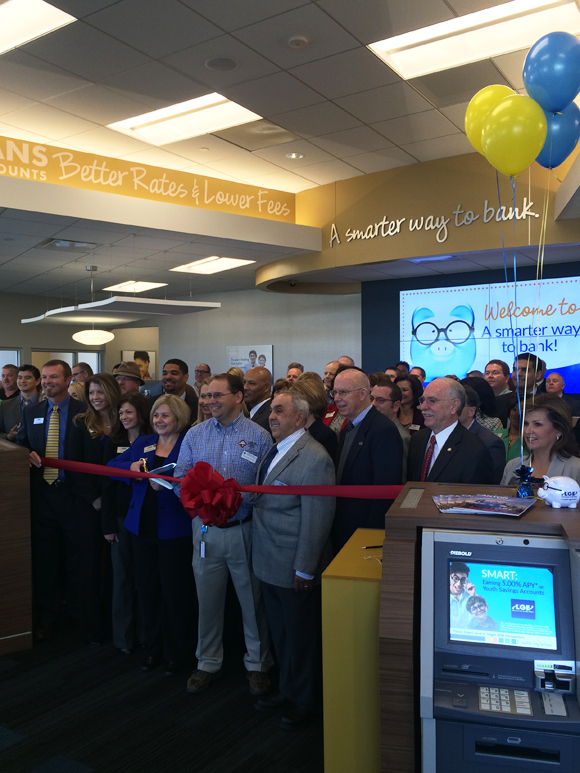 The new branch is 4,000 sq.ft. and features advanced function ATMs for all transactions along with engagement stations nearby for meeting with members to discuss their financial needs. In addition to conventional financial transactions, the Canton facility offers Insurance, Investments, Real Estate/Mortgage Lending and Traditional Lending, including auto and personal loans. The facility features the branded look and feel of LGE facilities and personal bankers will greet members and guests as they enter the facility in the defined engagement zone. Personnel for this facility are chosen for their ability to interact and engage with members and will be trained in all areas of product offerings so that members financial needs can be met with minimum involvement of additional specialists. 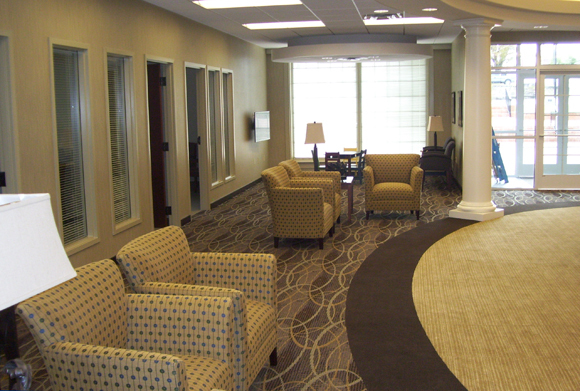 The major renovation and addition to Farmers State Bank’s main office in Lincolnton, GA is now complete. CBI was chosen to expand and renovate the bank’s existing building, largely due to CBI’s experience with complex renovations and additions involving multiple stages of construction while also having the ability to keep the bank open and the employees safe. The finished facility includes an addition of 5,000 sf and the original 10,000 sf facility was completely repurposed and updated throughout. The addition is located behind the existing facility and is connected with a bridge from the main level of the retail branch. The two-story addition includes operations, a community room, the employee break room and a kitchen. 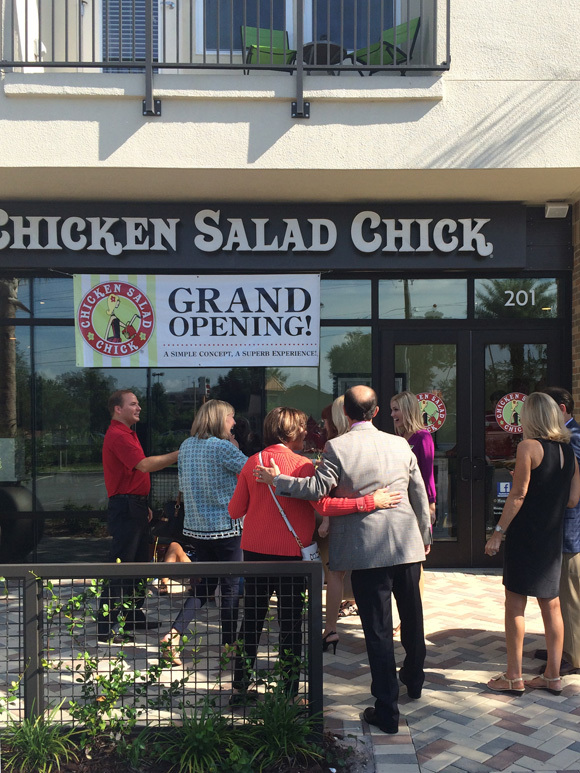 CBI recently completed the build-out of Chicken Salad Chick’s 40th location in Orlando, FL. 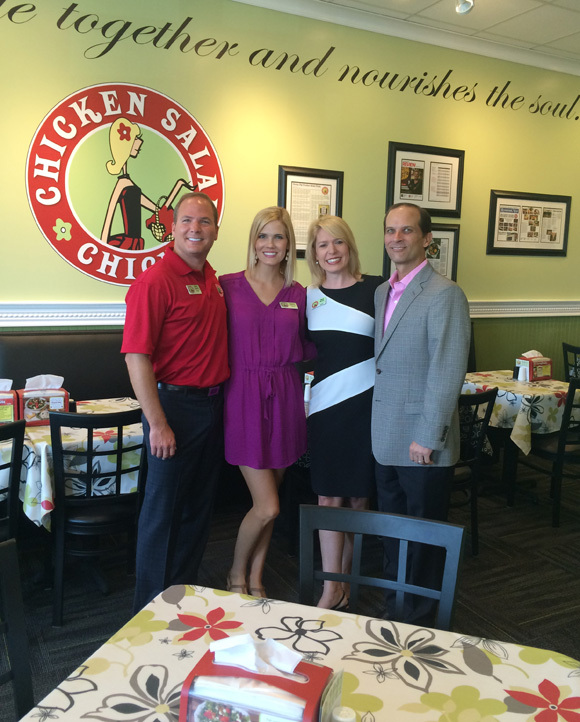 The restaurant opens today in the Plaza at University complex, 12101 University Blvd., Suite 201 in Orlando. 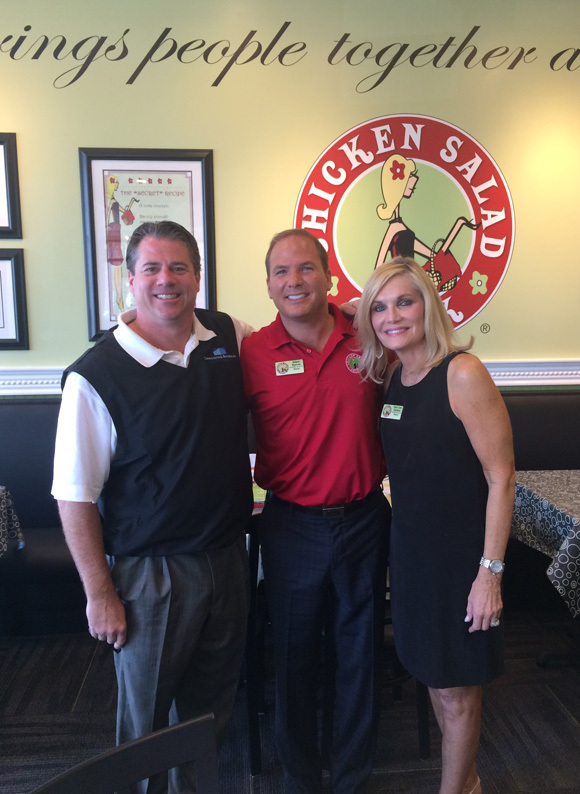 The brand was recently named as the top chicken salad in the country to try in the March/April issue of Cooking with Paula Deen, as well as one of FastCasual.com’s top Movers and Shakers. 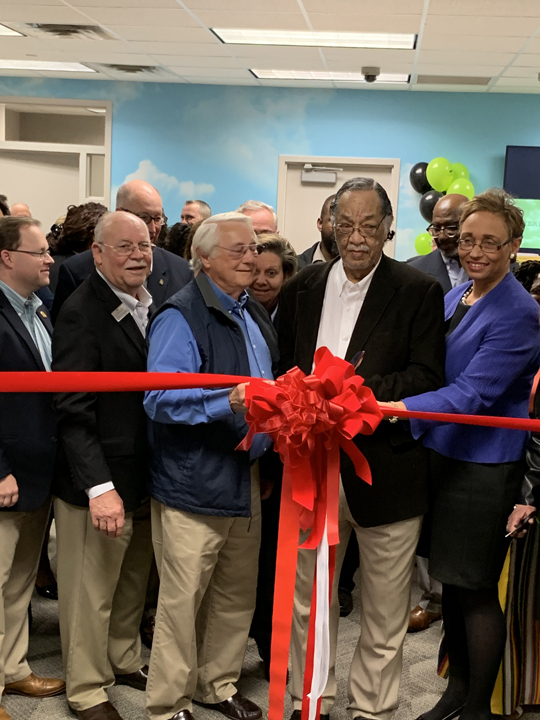 LGE Community Credit Union recently celebrated the grand opening of their new location in Roswell, GA. CBI designed and built the new 3,342 SF facility which offers an open branch environment combining self-service and personal interactions. 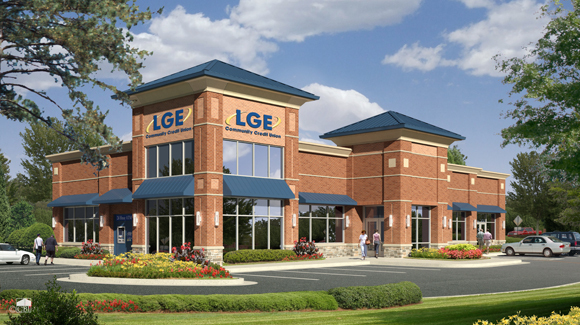 The Roswell branch is the first of the next generation of financial centers for LGE. 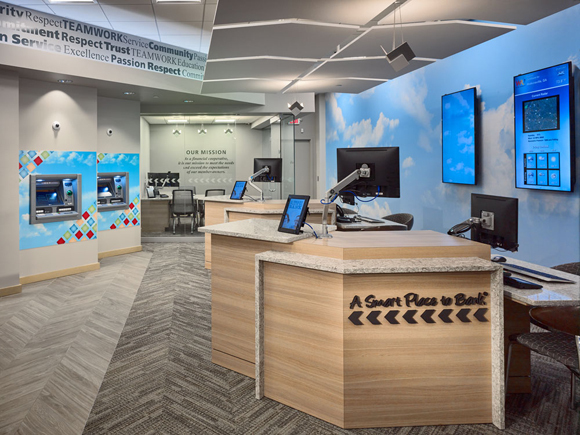 The delivery model for this branch relies solely on ATMs to handle the most routine transactions, allowing the credit union’s employees to inform, promote, and educate members about the benefits of their products. Employees are trained on those aspects of the business and not on handling transactions like in the past. LGE Community Credit Union feels that soon they will be able to completely eliminate the ATM machines, as remote capture, direct deposit and the capabilities of mobile devices make transactions easier to process outside of the branch.